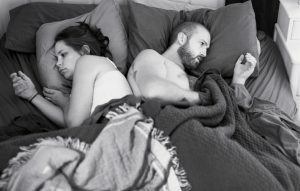 Everyone has a smart phone nowadays. 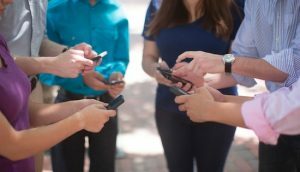 When you walk down the street, every second person will have their head down, looking at their phone. There are so many reasons why this is not good for us, both as individuals and as a society at large. It is very common to see two people out to dinner, with their phones on the table just in case they get an important Snapchat. It’s truly testing our mental limits. 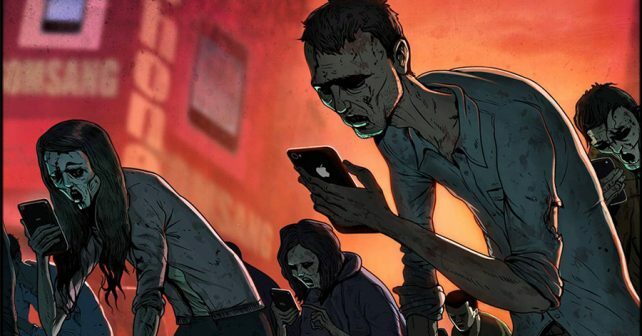 Here are all the ways your smart phone is turning you into a brainless zombie. Did you know that the average human attention span is 5 seconds? 5 seconds…that’s nothing. A lot of people nowadays literally can’t watch a movie or read a book because it’s “too long”. We have trained our brain to only tolerate short spurts of information. If an article is too long, we will scroll through and just read the parts that seem important. How do we fix this? For one, don’t aimlessly scroll through Facebook. You can download apps that will blank out your news feed and only let you use Facebook for communication purposes. You are taking in way too much information to even process. By the end of the day your mind is racing, it’s no wonder insomnia is sweeping the nation. Start building up your focus by practicing meditation or try reading a whole book in one sitting. It’s a lot harder now than it was when you were a kid. Time is one of the most valuable things on the planet, however we seem to have no problem wasting it by surfing through Facebook or scrolling through Instagram. You are giving your brain these low level cortisol spikes that becomes incredibly addicting. It’s almost like the same feeling you get when watching TV except the material is a lot more conducive to shorter attention spans and it’s available literally anytime. Try taking all that time you spend looking at random photos on Instagram while you wait for the bus and replace that with maybe listening to some music, reading, listening to an audiobook or podcast. Use your time wisely and in a way that will benefit you in the long run. Us humans are social creatures. We like living in groups. We form family units. We need that face to face interaction to know who we are. Using apps like Twitter, Instagram and Facebook gives you a false sense onf community. It’s like a simulation, but it is nothing compared to that real interaction you get from someone face to face. Try having an “internet free” day with your friends. You aren’t allowed to look anything up online or check email. You will find that you will be depending on the people in your social circle to provide you with entertainment. It shouldn’t be that much of a surprise.